How much is 11 + 14? How much is 6 + 8? Situated on top of the Welbedacht Cliff Tops 3km from Knysna Town, the Lodge overlooks the Knysna Lagoon and the Outeniqua mountains and indigenous forests. The theme of the Lodge is one based on natural beauty with stone and wood architecture, combined to give that comfortable earth feel. Things to do in and around Knysna…. Forest walks, Outeniqua choo choo train (George to Mossel Bay), elephant park, monkey land, snake park, bird world. Pristine beaches, sailing, lagoon ferries, Featherbed nature reserve, kayaking, abseiling, diving, quad biking, mountain biking trails, game reserves including game viewing on horseback to view some of the big 5 eg. Rhino, buffalo and plains game. Champagne and oysters, sunset cruises and sundowners on the deck or in the swimming pool, are a few of the experiences to look forward to. Over 60 restaurants to choose from which we will reserve for you. Should you prefer to relax at “home”, we can provide an up-market take-out which we can serve in your room or at the main lodge. The fifth suite, while still enjoying lagoon views, is embedded in indigenous “fynbos” surroundings attracting numerous bird species and giving that “hidden away” feeling. The sixth suite, the Family Suite has a partial view of the lagoon, mountains and forests. It consists of two inter-leading bedrooms, sharing a bathroom with a spa bath and large shower. The private dressing room and all the facilities of the other suites are identical. A spacious deck with umbrella and loungers enjoys lagoon, mountain and forest views. tours@africanwelcomesafaris.com, or call on the number below to speak to one of our team who will be on hand to advise you and answer any questions. Discounted rates – we have great deals with all hotels and lodges which we pass onto you, as our customer. Travel consultants with a great knowledge of Southern Africa. We design all aspects of your holiday for stress free holiday planning. Members of SATSA and financially bonded so your payments are protected. Call or email us, anytime. Get 24-hour support before, during, and after your trip. You always deal with a dedicated travel consultant, not a booking engine. Don’t believe us, read independent reviews from past clients. Let us design your African safari with a variety of safari destinations – Our expertise includes travel and safaris in South Africa, Botswana, Namibia, Zimbabwe, Mozambique, Kenya and Tanzania. 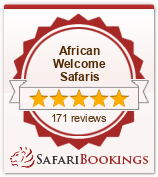 African Welcome Safaris offers a highly personalised service. With a dedicated travel consultant catering to all your travel needs. Our passion is creating your holiday of a lifetime. We consider each and every traveller a VIP, you will work with a dedicated travel consultant through the entire process of creating your dream holiday. They’ll make sure that every moment of your African safari holiday is all you ever dreamed of. How much is 5 + 8?